There are few things which can seem as daunting as helping a child learn to read. Almost all of us have been reading for such a long time that the process seems innate and natural. So, let's say your kiddo can belt out the alphabet song with the best of them, knows which physical symbols correspond to which sounds, and, with the exception of a few hump-backed confusing letters (p,b,d,q) can accurately identify all of the letters on a page. What do you do next? There are some books which proclaim that your child can become a bonafide, library card carrying member of the fluent reader's club in 100 lessons or less. There are people who will tell you that all you have to do is read your child books, throw a stick over your left shoulder, chant "you are going to read soon" 10 times and then, Bob's your uncle, you will have a newly fledged reader. Still others will tell you that all children when left to their own devices, allowed to roam freely through the lush and lovely land of literacy will become readers of legend. And there is anecdotal evidence to support all of these approaches (except, perhaps, the stick). That said, *your* child might not learn to read via any of the above techniques. The point is, that reading is a long, involved process and not all children develop the interest or ability to read at the same time. Furthermore, no matter what people say and no matter what programs and books promise, there is no one size fits all method to teach reading. "learning to read is about as natural as learning to juggle blindfolded while riding a unicycle backwards. Simply put, learning to read is not only unnatural, it is just about the most unnatural thing humans do." ~ Sebastian Wren "Ten Myths About Learning to Read"
As I mentioned, learning how to read involves multiple stages of development. Not all children are ready at the same time, nor do they prog﻿ress at the same rate once they start to read. I know, this isn't exactly a revelation. Furthermore, if you have looked at the parents whose kids have somehow mastered what seems to be the arcane art of literacy and asked these sages for advice, you have likely been told something which seems to be very unhelpful like "Read to your children every day" or "Interact with your kids and model a love of reading for them." If you are like the new mother/teacher I once was, you grit your teeth and nod, feeling all the more helpless because you feel as though they think you have the intelligence of a chimpanzee. Of course, reading, singing and conversing with our children helps to prepare a child for reading; however, most parents fret and worry that there must be something more that they can do to make the real magic happen. What these advice givers are really trying to say is that children learn more at this age from the quality of their interaction with you than they will from any curriculum or toy or program. The cuddly, snuggly, giggly story moments matter most of all. Children at this age in particular explore the world with all of their senses, and their developing literacy skills are no different. Finding ways for children to play with letters and numbers, exposing them to a variety of different kinds of text materials, and letting them handle, gum and "love" their books is the best way to help a very young child develop an early independent fascination with reading. This is the age where songs and finger plays help children to develop a sense of the musicality of language and to explore the patterns involved in texts. It is the age when letters and colors and shapes are brand new and every day brings some form of discovery. I've devoted a whole page to talking about these wonderful toddler times here. When I was three, I had what I refer to as my "Helen Keller moment." I had memorized my favorite book, Green Eggs and Ham and a few other Dr. Seuss books besides. I knew all of the words on every page, but I couldn't transfer that knowledge from one book to the next. Then one day I noticed that the words weren't exclusive to a single book. In fact, the words were made up of letters, and those letters had sounds, and I could use that knowledge to figure out words in books I hadn't memorized. (!!!!!) That revelation was so mind-blowing, so delicious, so fantastic that my toes still curl with the memory. What I had become in that moment was a Novice Reader. Novice readers do not know about diphthongs or blends or what happens when two vowels walk down a city street holding hands. They do not know about rules and their exceptions. Instead, what they know is that letters make sound bits, and sound bits make words happen. This is the age where your kids will surprise you and all of a sudden when you are spelling put that you are thinking of buying them a "b-i-k-e" they will run around the room yelling about how they are going to get a bike. Kids of this age learn more through their bodies than their mouths, and they always seem to be in motion. They are wild, wiggly bundles of energy, and learning which incorporates play and movement sticks best. Be silly, make up stories, emphasize rhyme. Skip, or dance spelling. Point out the letters in the world they live in. The I Can Read website offers wonderful suggestions for helping children learn how to read. It is important to build upon the familiar to introduce new concepts. For example, above you will find a rebus story which uses a combination of pictures and words from the Humpty Dumpty nursery rhyme. This kind of reading material allows a child to decipher the pictures easily and to anticipate and decipher the letters. It emphasizes the fact that reading is a decoding skills and relies on information that the child already knows to build mastery of new skills. Here begins the process of what many of us consider to be the true task of reading instruction: turning our nascent readers into expert Decoders. It is during this phase that readers learn about consonants, vowels, word patterns/families, sight words and basic grammar and punctuation. This is the stage when many of us are prone to turn to little Billy or Suzy and say, "Buck up, Buttercup. It's time to get serious. Drop your fanny on your chair and give me 20 pages." We throw all of those formative years of our children's wonder at words out of the window because, let's face it, the amount of learning that has to be done is daunting and we fear that neither we nor our children will be up to the task. Unfortunately, turning reading into an unpleasant chore is the surest way to undermine our children's success. Just as in the preceding years, children need to be encouraged to have a positive relationship with books as they gain mastery of the skills necessary to reading. This means they need to be able to explore topics, characters and genres which interest them. They still need to play with words and ideas, and, much in the same way they learned to walk, they need to be encouraged to try out their new-found independence without losing the nurturing care that makes them feel confident and safe. Many parents believe that television and reading are natural enemies, but I have found that my kids' favorite characters from television and movies are excellent motivators when they appear in simple readers. Let's face it, we all like to read about subjects and characters we enjoy, and even beginning readers are no different. My daughter, for example, loves the ​Pinkalicious series of books by Victoria Kann. When she was younger, she was unable to read the big books to herself, but she devoured every one of the early readers that she could find. Favorite activities are another great way to encourage a love of reading in children. You say your child only wants to play Minecraft 24 hours a day? Well, how about you have him read books based on Minecraft? Better still, how about you have her read a book and generate a part of it as a Minecraft environment? Favorite characters, familiar stories retold in a novel way, movie and television adaptations, picture books and comic books, all provide rich areas to explore when enticing a child to read. ​Alright, you say, you've convinced us that kids learn by reading books, but it just doesn't seem to be enough. What else can I do? Well, you're right. For many if not most children, learning to read at this stage may require tons of practice and also direct instruction. ​It's not for nothing that reading teachers exist. So, you wonder, what kinds of activities are helpful in this stage? What is reading instruction and how do I do it? Whether or not you fall into the phonetic camp or the whole word camp of reading instruction, I think all can agree that in order for a child to be able to read fluently, s/he needs to develop a strong phonemic awareness. ​This is where all of those songs, nursery rhymes, fingerplays and letter sound practice comes in. Your child has been primed to be sensitive to the sounds that make up a word and to be able to anticipate patterns in language which inform the "rules" of reading and writing. Word family games and books, blends and digraph practice,long and short vowel practice all assist with reading fluency. We tend to be media schoolers, and have used several subscription programs for reading instruction. I will briefly describe their pros and cons. 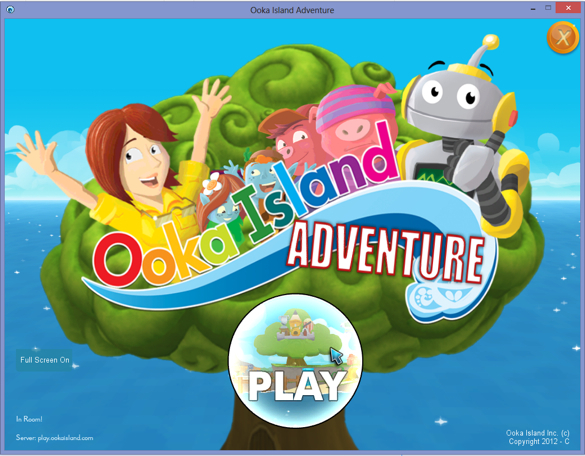 Ooka Island is the most comprehensive reading program in its emphasis on phonemes and developing aural awareness. The instruction is game based and children are encouraged to interact with the environment and learn new material. The program emphasizes that word bits can be deciphered even when they do not have a meaning. This practice with word bits and words not only enhances decoding skills, but it also improves spelling through phonemic awareness. Reading Eggs also relies on an interactive platform and a game-based format to assist children with developing literacy skills. The program is organized into discrete units of progressive difficulty, and it utilizes both a phonetic and whole word approach to literacy. Songs, games, and interactive quizzes are all part of the modules.There are copious rewards including a game area where students may spend the tokens or eggs that they have earned from mastering the material. If you prefer printed readers, then I highly recommend the "I See Sam" animated readers at the Reading Teacher site. This comprehensive site provides leveled readers beginning with a few simple words per page and progressing to more challenging material. The approach is phonics based, and each reader features a highlighted phoneme. Children have the option to read the test unassisted or to listen to a minimally animated version of the text. Each reading is followed by a multiple choice comprehension quiz. In the early days of this program, the worksheets and printable books had yet to be developed. Now there are many printable resources for offline practice. Book Suggestions: Leveled Readers, Chapter Books, Joke and Riddle Books, Pop-Up Books, You Read to Me/I Read to You Books and any of the resources listed above which still hold the child's interest. Although the process of learning to read can continue into adulthood depending on the complexity of the texts being read, the final stage of basic literacy is developing into a Fluent Reader. Fluency in reading is marked not only by stamina which allows a child to read longer texts, but also by an increase in comprehension which allows for the grasp of irony, foreshadowing, humor, figurative language and more. This is the big pay off. When you hear, guffaws, shrieks and gasps coming from the other room, and you see your little one fully engaged in a book. It is at this point that you'll look back and wonder how you both got to that moment, shrug because it doesn't really matter, and join your child in reading a good book.